Hi everyone. I recently gained and read the Book of Tyrael, and I was kinda suprised to see that there are numerous paladin-like factions on sanctuary, which kind of make them the most numerous faction-like group type (second to the Mage Clans). As such, I was trying to see regroup these factions and try to see on which points they are similar and different. Note : the fact that members of the group doesn't call themselves Paladins, aren't directly associated to the Church of Zakarum, or even openly a religious institution doesn't matter in this classification. By paladin, one should heard a warrior with powers deriving from faith and discipline and who fight for a specific ideology of what is right/good. Here are the main group I have found. -Current mission : travel to the West, still for the same reason, but with more need following the revelation of Mephisto's corruption at the hearth of the Zakarum church. -Unknow founded time. Possibly formed of paladins who served Rakkis during his campaign and then became official with the foundation of the Kingdom of Westmarch. -Merged with the Orders of Paladin but kept their name. -Goal : aledgedly recover lost tomes. -Vanguard of the Zakarum Inquisition. -Founded when the Zakarum faith ascended to be the official religion of Kehjistan. -We can roughtly outline the timeline of the various paladin orders. -Hand of Zakarum become divided. -->Order of Paladins come to be to oppose the unseen corruption and its effects. -Hand of Zakarum falls to corruption and is destroyed. -->Rise of the Templar Order. -Crusaders return to Kehjistan around the event of Diablo II and are witness to the corruption that Akkhan feared. The big question I ask myself : did Leoric had any paladins at his service during the Darkening of Tristram ? He clearly had knights (Lachnadan was one), but were these actual holy warriors (with holy powers) or just reglar soldiers ? To answer your Leoric question, I wouldn't call them paladins per se. Leoric had a group called the Order of (the) Light, which was comprised of his knights and priests. He sent them off to die against Westmarch as per prompting from Lazarus. However, to my knowledge, the knights were never called paladins. Just knights. I think that there was no official Paladin order stationed in Khanduras. But it could be that some of Leoric's knights were Paladins. Altough another question that comes to my mind is the organization of Paladin Orders. Are they an official military branch of a country? Like a part of the army of Westmarch. Or are they an autonomous organization who sometimes happens to aid the army but isn't directly under the command of king? Offically, only the Knights of Westmarch seem to be aligned with a political force, and even then, we would have to know if the paladin in D2 (who was from this order) was on a mission for Westmarch. This would seem improbable, since, in D3, the King of Westmarch refuse to send soldiers to Bastion Keep because he doesn't believe demons to exist. As such, maybe the Knights of Westmarch have some independance or even no political obligation toward the King. The Knights of Westmarch are the standing army of Westmarch under direct command of the king. The Paladin in D2 merely took up a personal quest, not a mission from his commanders. As I interpret it, the true Paladin order served the Zakarum faith first and King of Westmarch second. As the corruption grew within Kurast they turned away from the leadership of their faith and focused more on the teachings of Zakarum to guide them instead. 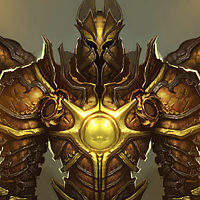 As the years have gone on the influence of Zakarum has waned and so the Paladin order saw little use in continuing to be a separate entity when they served the king already and their goals aligned with those of the Knights of Westmarch; defending the kingdom, protecting the innocent, upholding peace. They merely merged with the rest of the army but continue to practice their teachings and beliefs.